Kate works in London and France producing ceramic extravaganzas large and small. 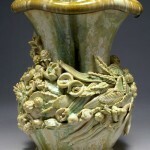 From candlesticks on tables to fountains in parks, her work can be seen in numerous public collections such as the Ashmolean Museum, Oxford, Bristol Museum & Art Gallery, Los Angeles County Museum, Musee des Beaux-Arts, Montreal, Canada, Musee National de la Ceramique, Sevres, France, Ulster Museum, Belfast and the Victoria & Albert Museum, London amongst many others. An American artist born in 1931, John is a landscape painter of an unconventional type, in that he fuses elements of Chinese painting and contemporary abstraction within the tradition of late 19th century European landscape sensibility. Educated at Harvard University he then studied at Art Students League, NYC with Hans Hoffman in 1956/58. John has lived and worked in England for over forty years since he married and settled near Bridport in 1961. Born in 1950, Caroline trained at the Central School of Art and Design, London. Public collections that hold examples of her work include the Stedelijk Museum, Amsterdam, the Museum of Modern Art, Kyoto, and the Victoria and Albert Museum, London. Caroline was the winner of the Jerwood Prize for Applied Arts: Textiles in 1997. Her practice brings the usually autonomous areas of jewellery, textiles and performance art into close relationship. 1929 – 2014. 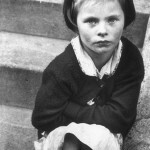 English photographer Roger Mayne was most famous for his documentation of the children of Southam Street, London. In the early 1950s he made photographic portraits of many residents in the artist’s-colony town of St. Ives, Cornwall. Roger moved to Lyme Regis, Dorset in 1975. A major exhibition of his portraits was held at the National Portrait Gallery in 2004 and he was represented in an important exhibition at Tate, Liverpool in 2006. Born in London,1951 into a family of artists and writers. Widely travelled in her youth Emily worked with the late Simon Jeffes of the Penguin Cafe Orchestra in the 70s and 80s. 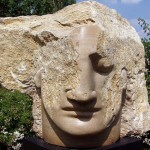 She also worked and exhibited as a painter, until the 80s, when she began carving stone. 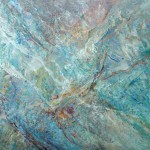 Since then Emily Young has worked exclusively in stone, and has exhibited widely. 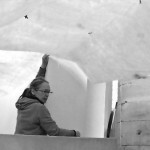 Her work is in collections all over the world. 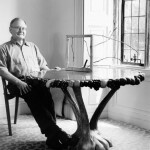 Born in 1939 John bought Parnham House, Dorset in 1976 and founded the Parnham Trust to provide integrated courses in design, making and management for aspiring furniture-makers. This was alongside but separate from his own furniture workshops. Major commissions have come from Templeton and Keble College, Oxford, Liberty’s, Banque Générale du Luxembourg, as well as museums, and both corporate and private collections around the world.